6th grade students stayed afterschool to prepare a water filtration system. 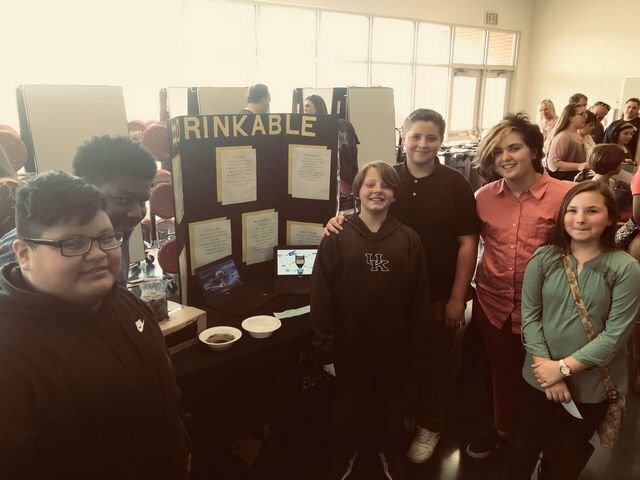 Students used charcoal, cotton balls, gravel, a two liter bottle, and sand to test and develop a way the water can be filtered and later boiled into drinkable water. Student were led in this Project Based Learning activity by Ms. Ashley Robinson. The group shared their information at the PBL Showcase at CCMS.